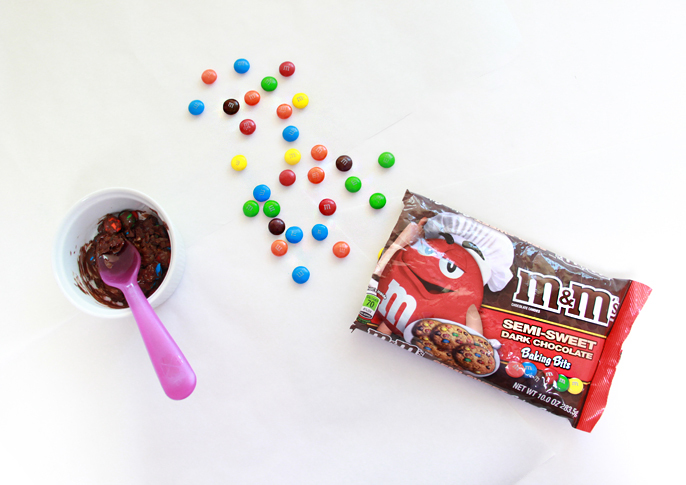 We partnered with M&Ms to share this special treat to celebrate their 75th anniversary! Meanwhile, over in ABL land we are beginning our first year of school. Kalia enters Kindergarten and we are both a bit nervous. I want to start a weekly ritual where she comes home from a long day and we cook/bake/share a special treat. 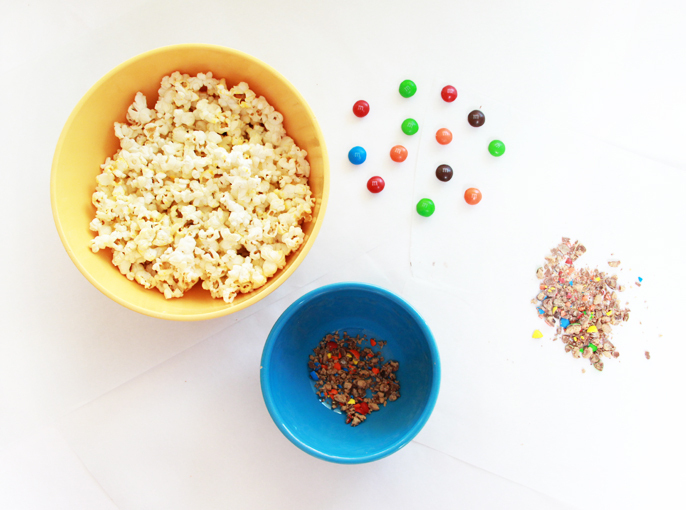 Kalia loves popcorn and loves M&Ms. She also helps by stirring and loves to crush the M&M’s herself. A little mother-daughter bonding to help us both ease into school. I picked up all the goodies at Kroger- they are having a special sale for the 75th celebration! Find your local Kroger here! 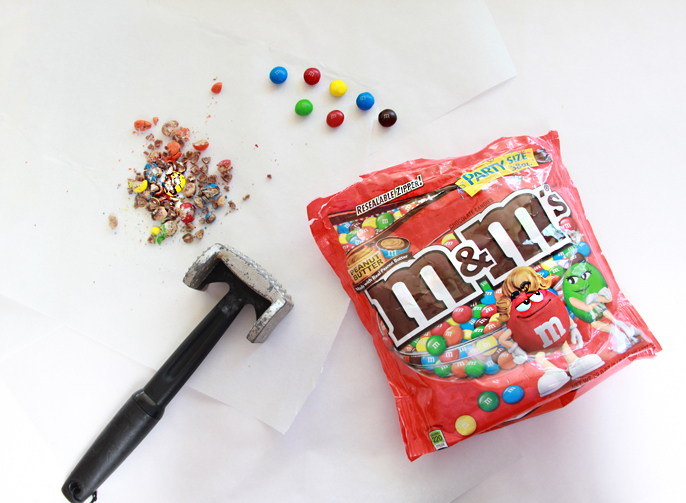 Crush 2 TBS of the peanut butter M&M’s. 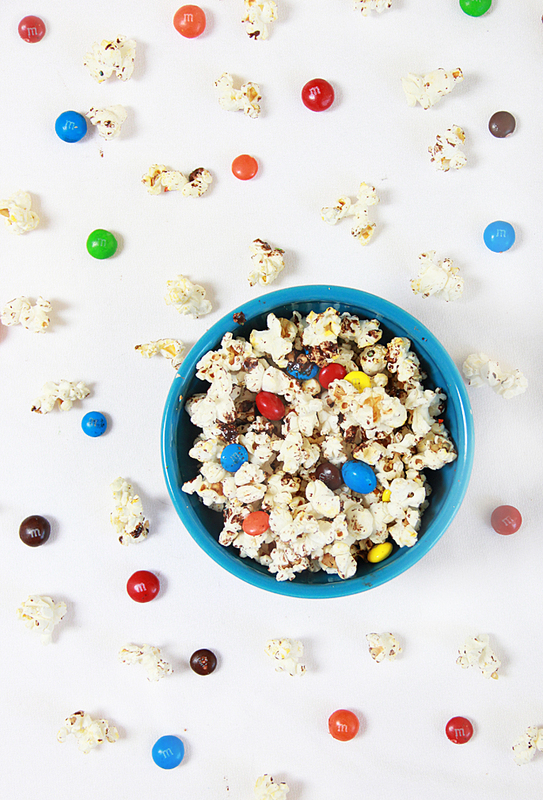 Pour and stir into bowl of popcorn. Microwave 2 TBS Semi- Sweet Dark Chocolate Baking Bits for 30 seconds in a microwave safe bowl. Crush with spoon and stir. Microwave for another 30 seconds until melted. Add a splash of milk and stir. 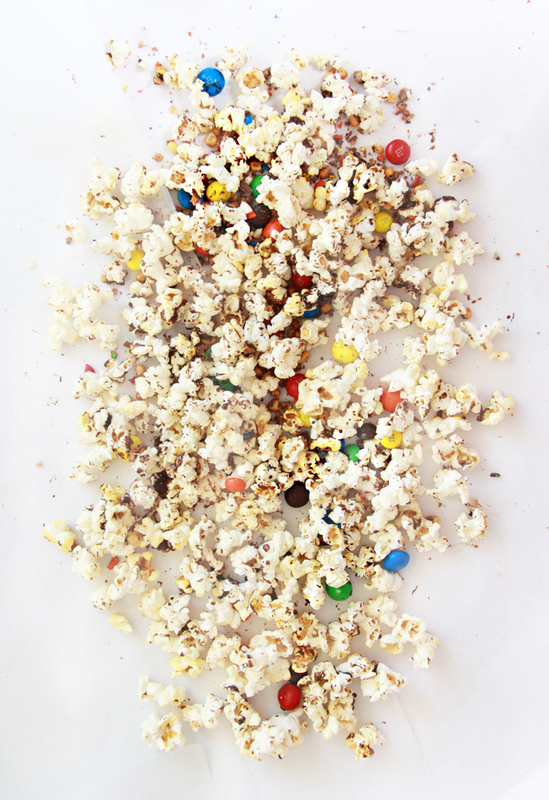 Add the left over 1 TBS of whole peanut butter M&M’s to popcorn. 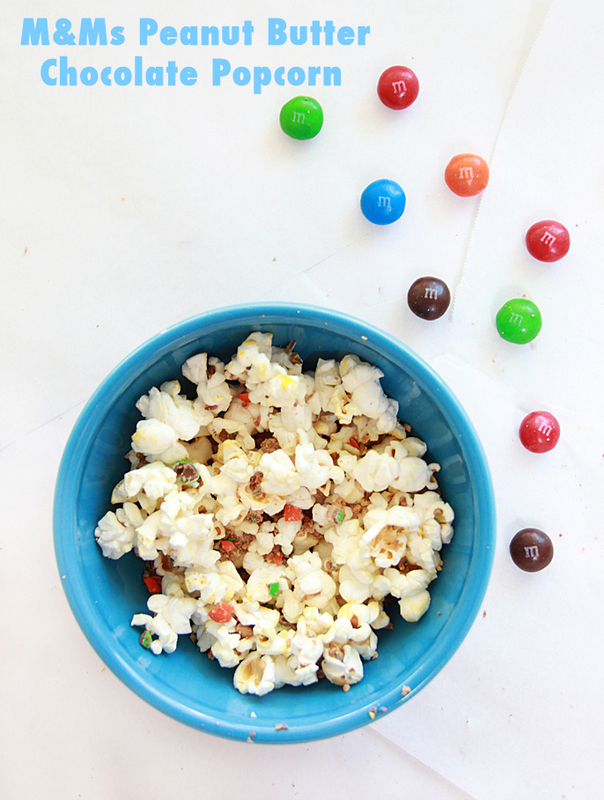 Stir it all and enjoy the sweet and salty deliciousness! 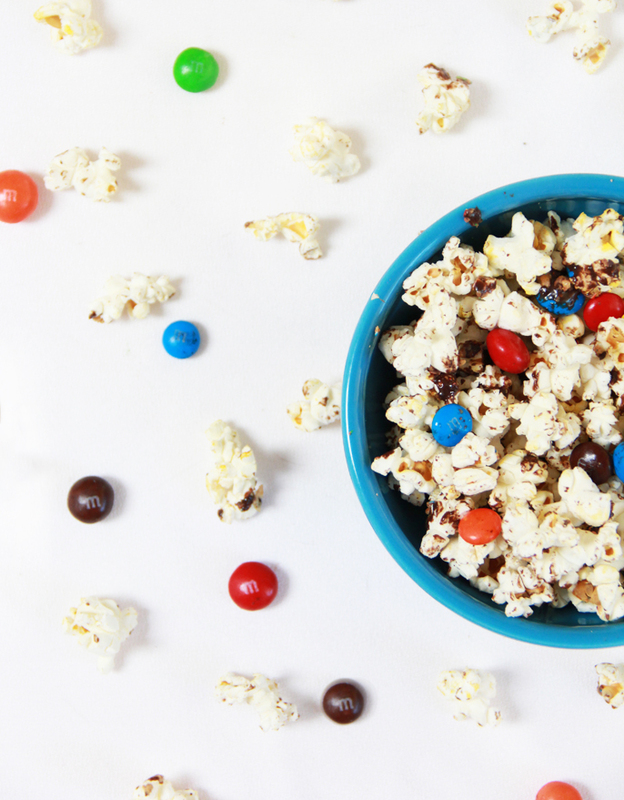 The popcorn and peanut butter M&M’s create a delicious savory side, while the candy coated shell and dark chocolate baking bits give the popcorn a sweet touch. Happy Back to School! Wish me luck as Kalia begins her first year!